When I knew I was having a second girl I assumed she would be just like her big sister. But when Holly arrived it take me long to realise that she was a completely different character to Alice. This has only become more apparent as Holly as got older. The television programmes that they want to watch are sometimes the same, but Holly also loves things that Alice never did. PJ Masks is one of these and it’s nice to have something different on the television for a change. If you a parent with pre-school children at home I’m sure your already familiar with the adventures of Catboy, Gekko and Owlette. If your not then PJ Masks is about normal children becoming a brave band of heroes out to save the world. When friends, Connor, Amaya and Greg put on their pyjamas and activate their animal amulets, they turn into their alter egos; Catboy, Owlette and Gekko, before embarking on adventures that are filled with action. I love the concept of the programme. 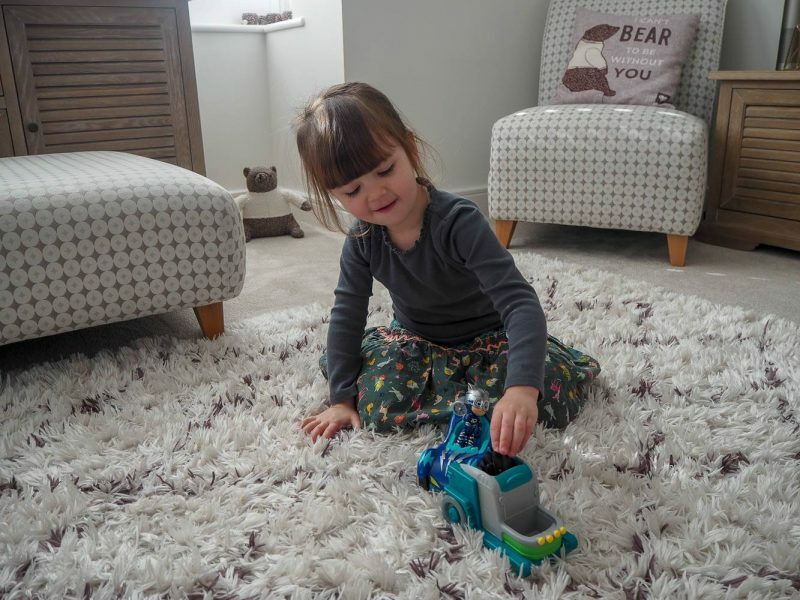 Holly was recently sent the ultimate PJ Masks Racing Vehicles, which are one of the new additions to the PJ Masks toy range for this year. We received Cat-Car who came with Cat boy who is dressed in an exclusive Turbo Blast outfit equipped with matching racing helmet. 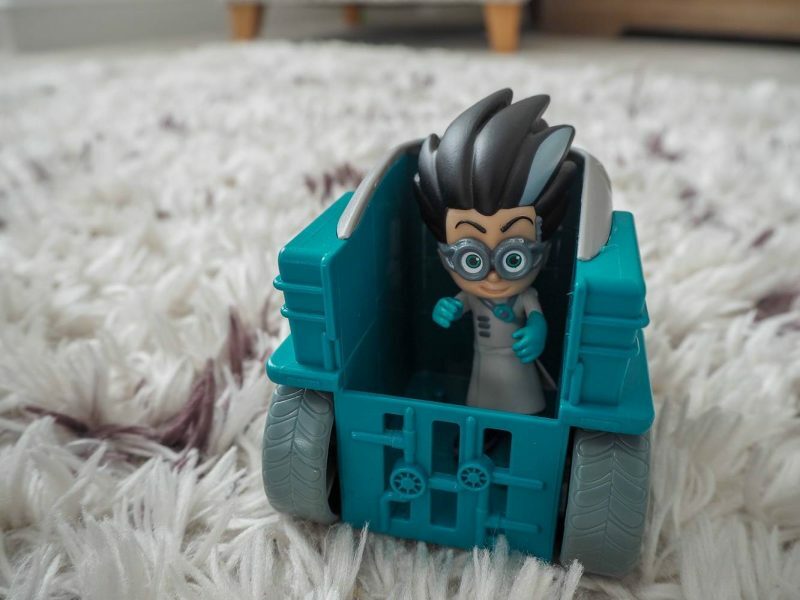 The Turbo Blast Cat-Car can fit one PJ Masks 7.5cm figure inside. Holly loves playing with them and it makes the television programme come to life. 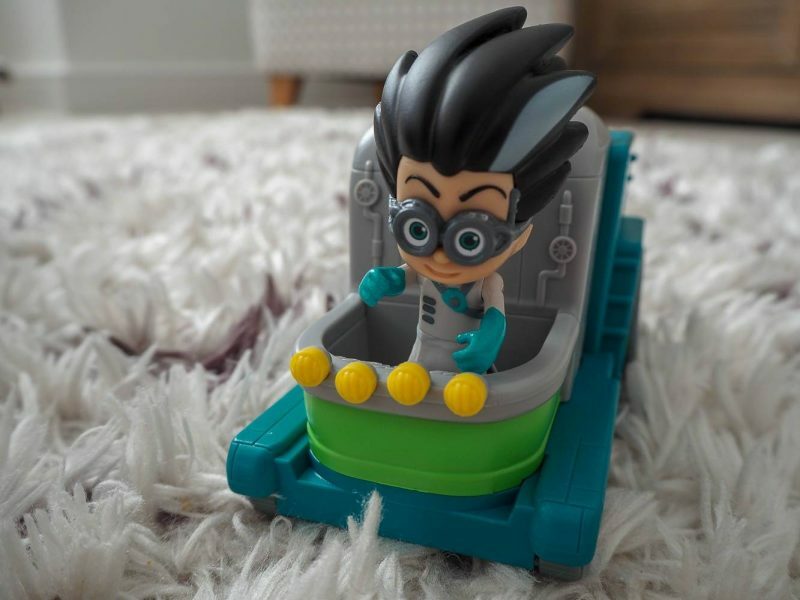 Every hero needs an enemy and Romeo is a marvel of mechanical mischief and we were also sent his mobile laboratory where he makes many a gadget, to help capture the PJ Masks and take over the world. Romeo’s mobile laboratory can fit up to 3 figures in it. Both of the toys are a lightweight plastic and they have holes in the bottom of their feet to be able to stand in the laboratory and not fall over. Or sit in the car without leaning to one side or fall out. 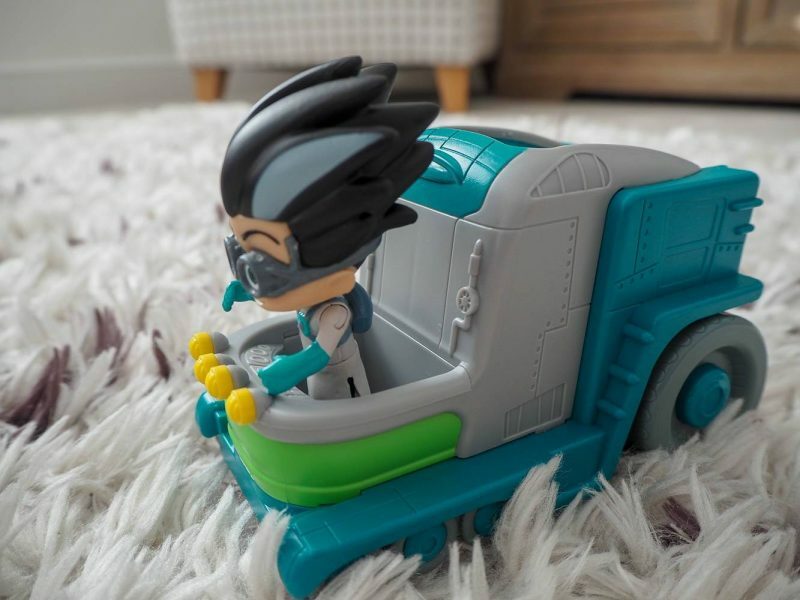 There are three Turbo Blast Racers to collect, Cat-Car, Owl Glider and Gekko-Mobile and also includes figures, play-sets and dress up items. 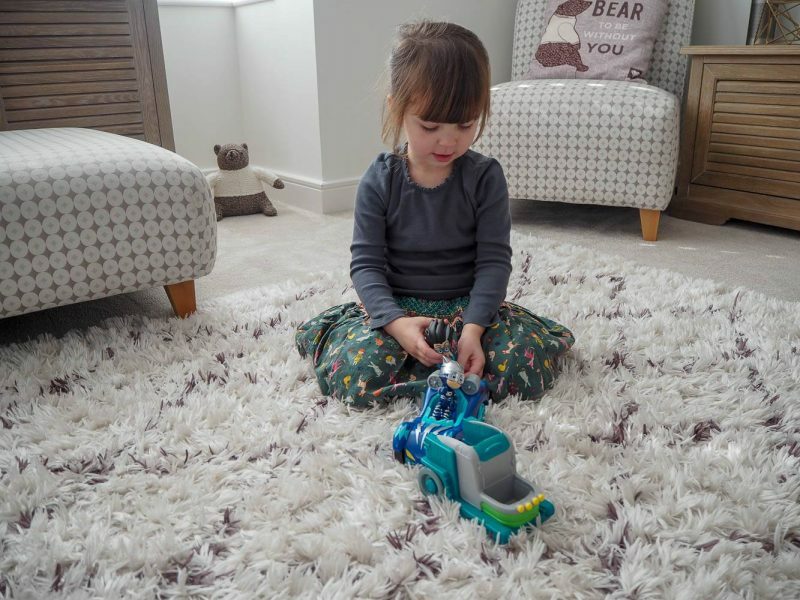 Each Turbo Blast Racer RRP is £14.99 and they are available at Amazon, Smyth’s Toys and several other toy shops. Disclosure: We were kindly sent our Turbo Blast Racers in return for an honest review. All views and opinions are my own. Previous Post: « Glamping In The Winter…Caalm Camp, Dorset! Such fun, and the toys look fab! We seem to have missed this one, but i am sure my daughter would love it. I like the idea of the children being the superheroes! Lots of fun had here it seems! 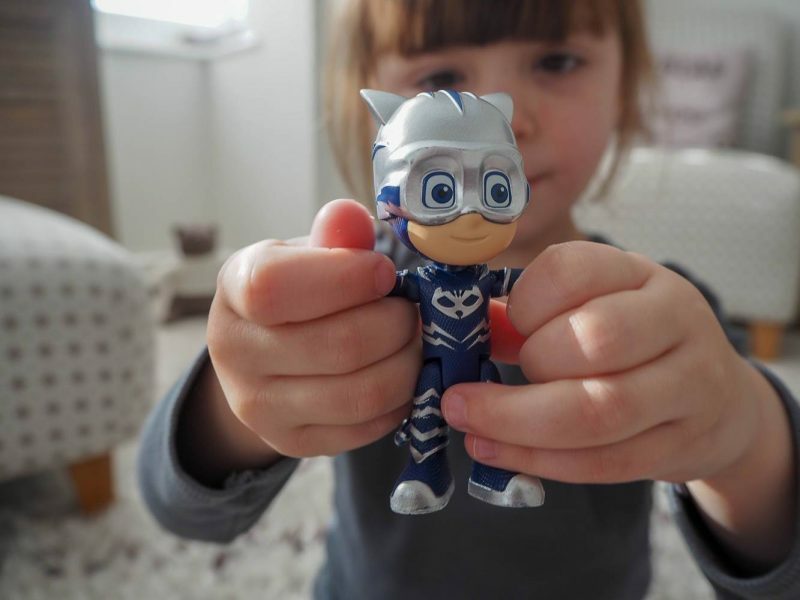 PJ masks are not massive in our house – the show has seemed to have missed us for some reason! I think with so many channels available to children nowadays airing some many new and different shows its hard to keep up! Its all about Vamparina at the moment over our way! Oh my two would love these! Arlo is currently dressed as Gecko as I type! 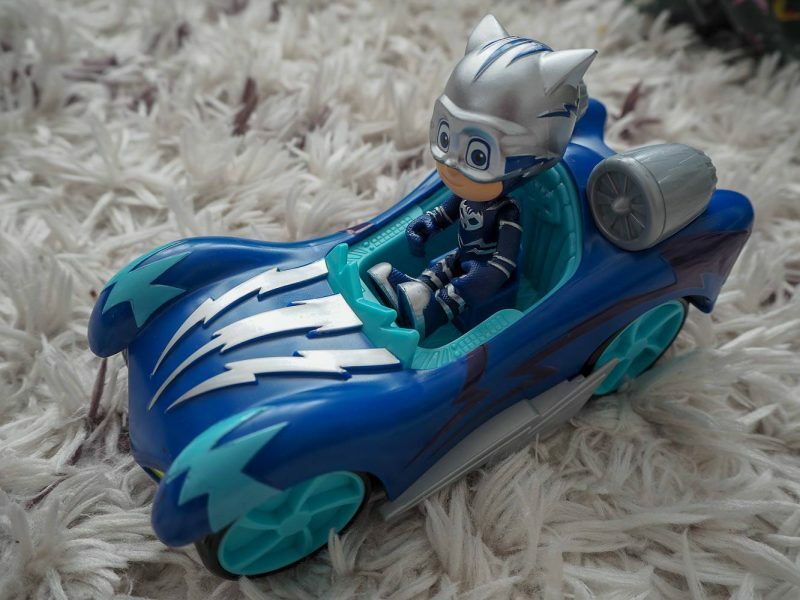 Harry is a big fan of Pj Masks, I thought we had every toy going but we don’t have this one! Holly looks so happy with it!